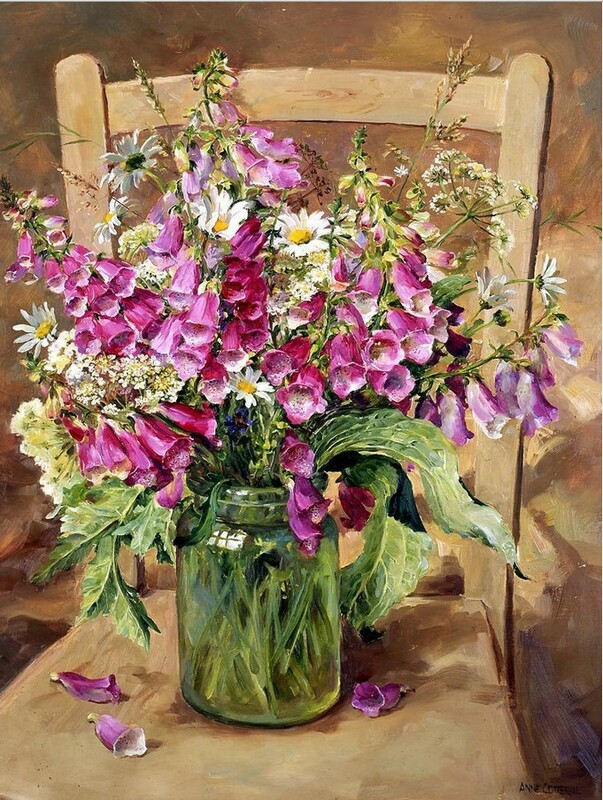 Married life brought her to West Somerset in the early 1960s where the seasonal changes of the wildflowers in the surrounding countryside are a constant source of inspiration for her paintings . 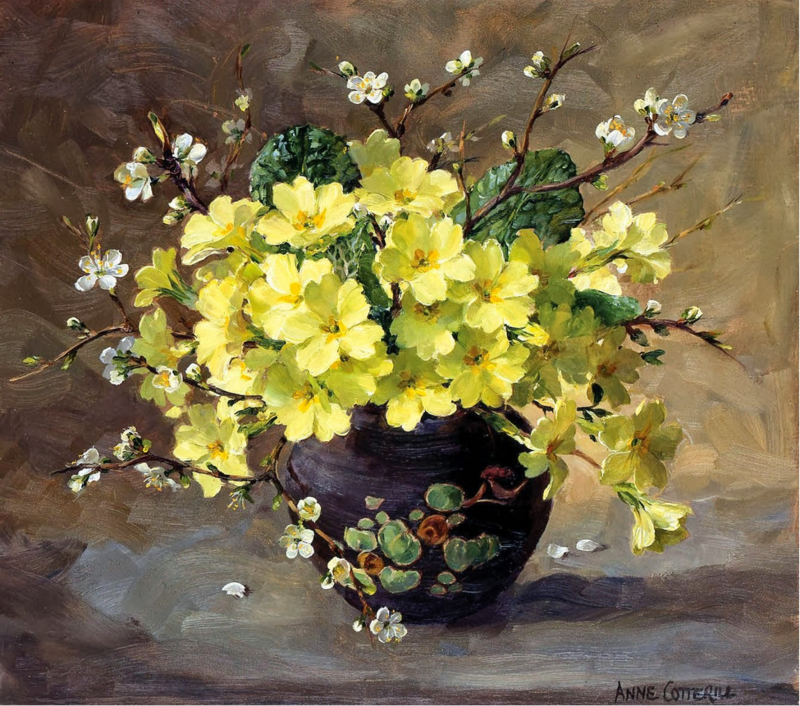 Anne considers herself to be a painter first and foremost, but one who paints mostly flowers. 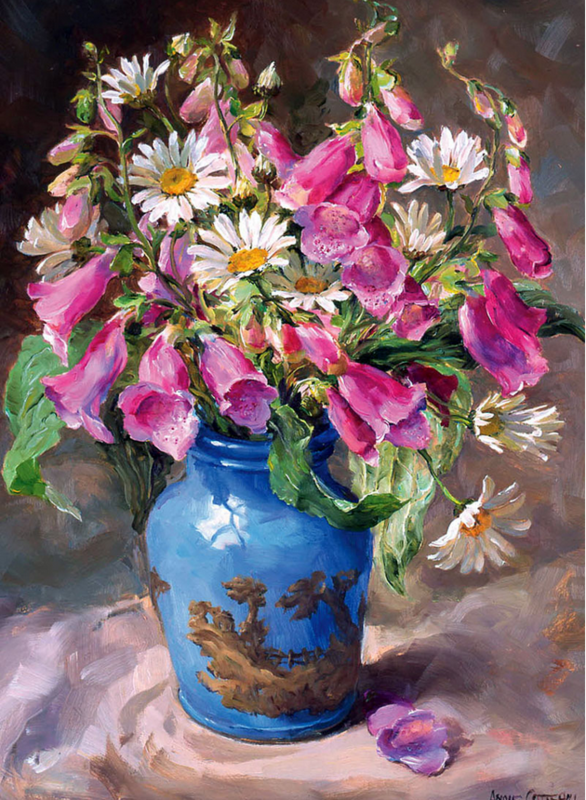 Her studies have a fresh vitality and strong sense of colour imbuing each one with a gem-like quality. 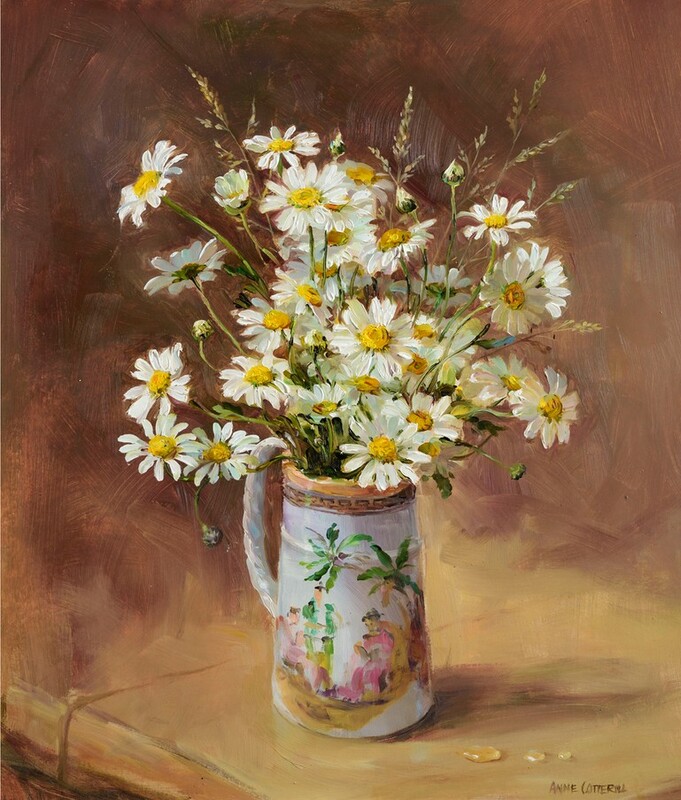 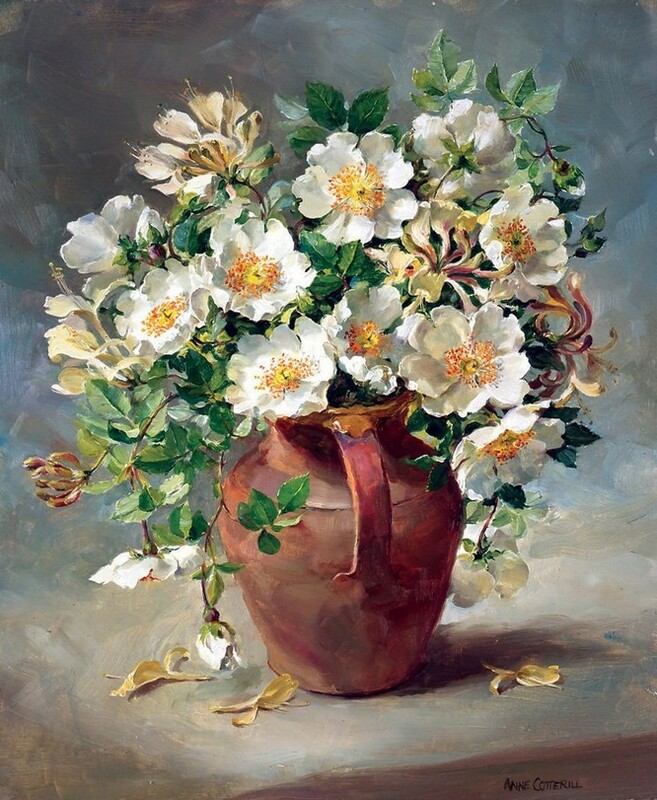 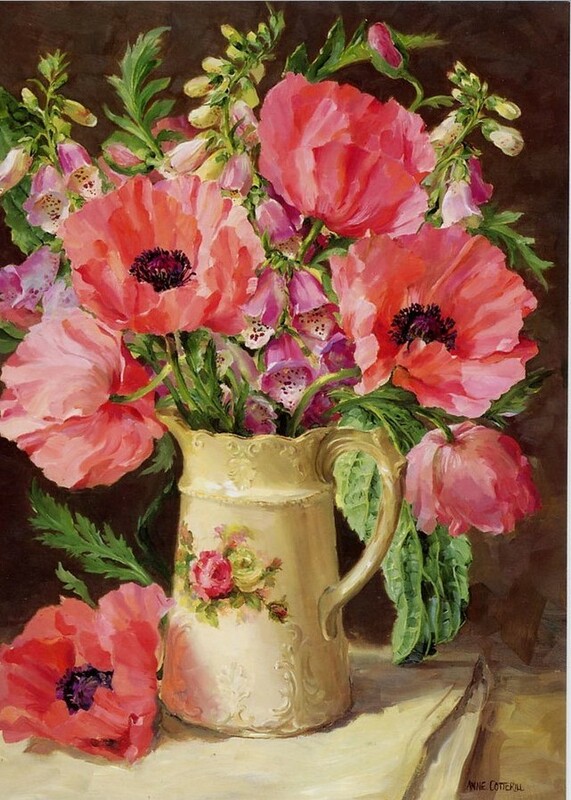 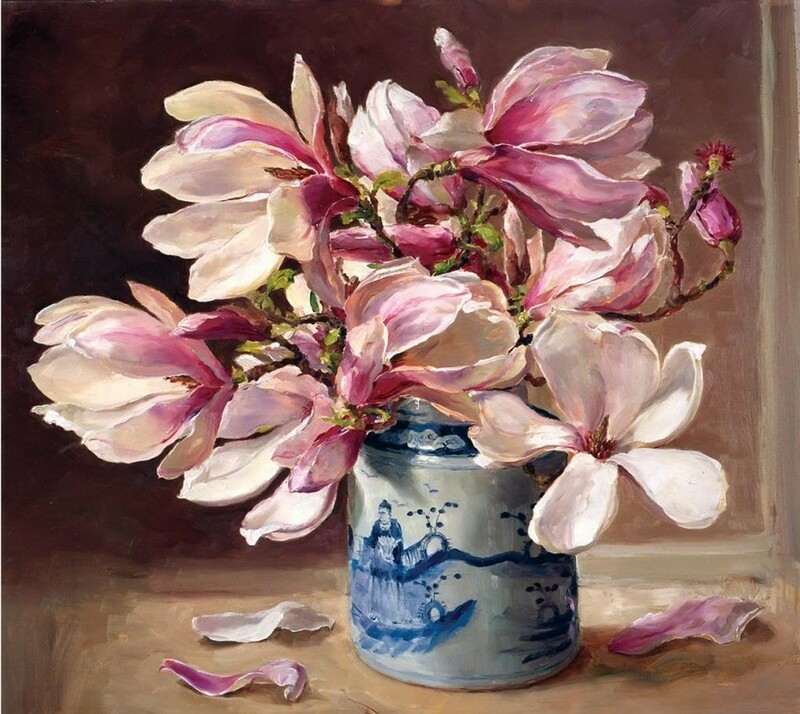 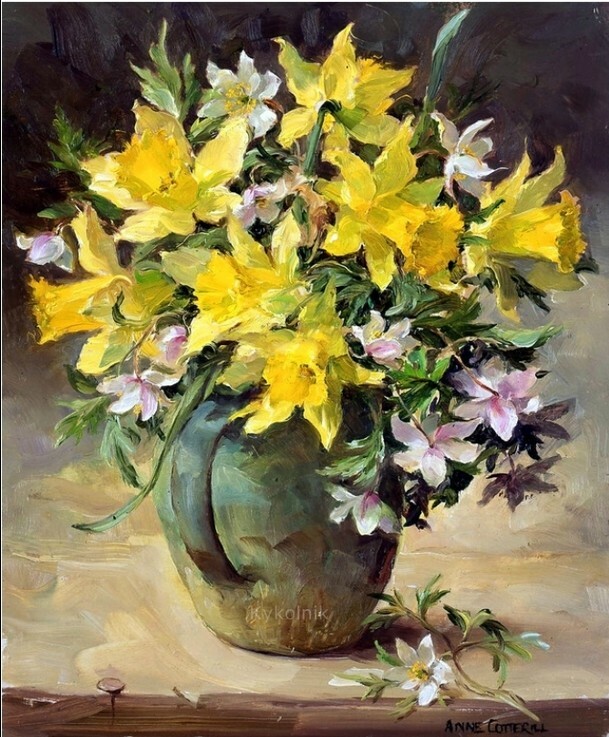 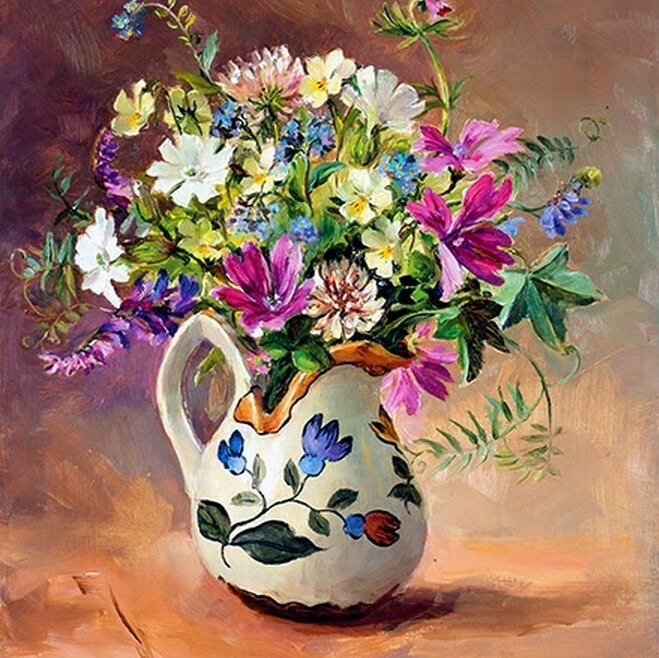 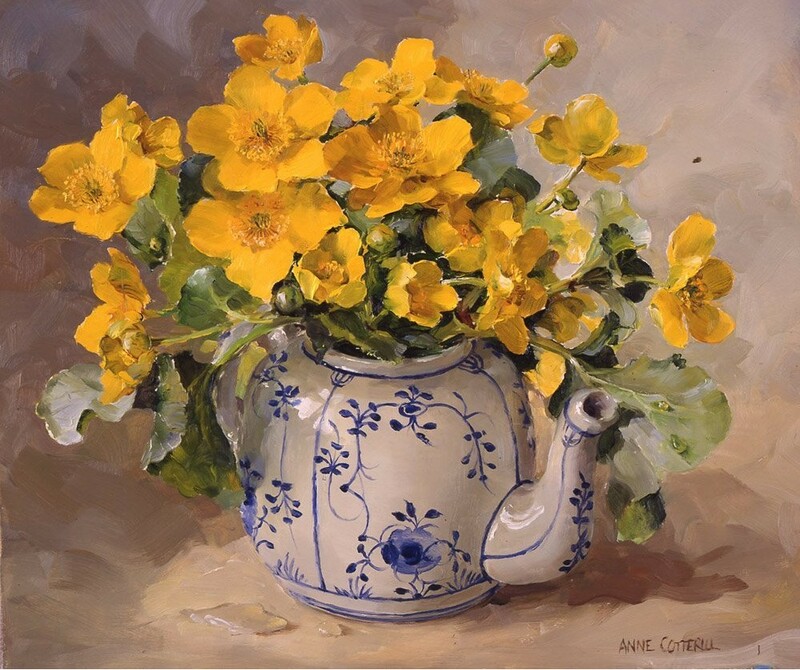 The flowers are arranged informally in one of Anne`s large collection of vases, pots, jugs and simple jam jars and she paints with the natural light falling from one direction to give tonal values so important in any painting. 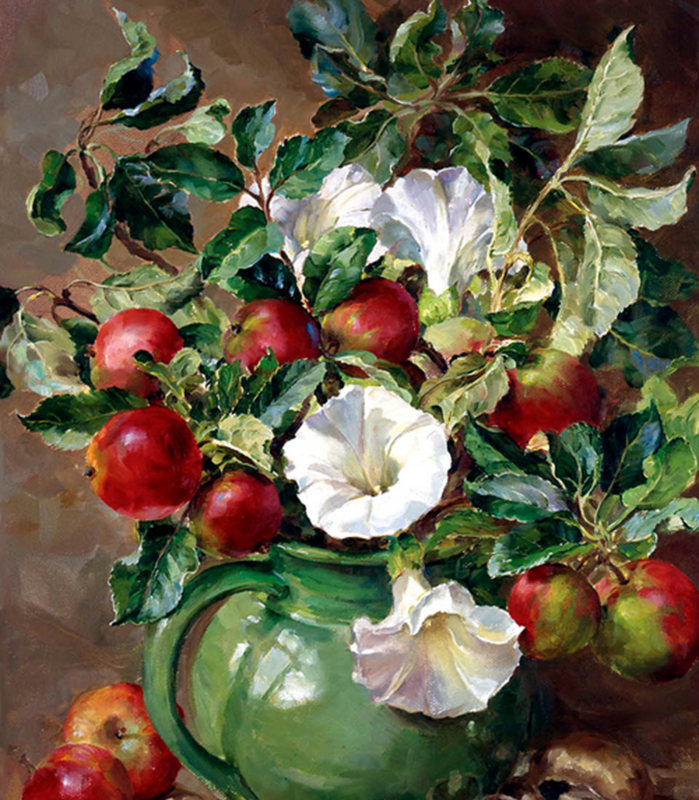 Her detailed understanding of botany is combined with a focus on light and texture that gives her work great presence and feeling of movement. 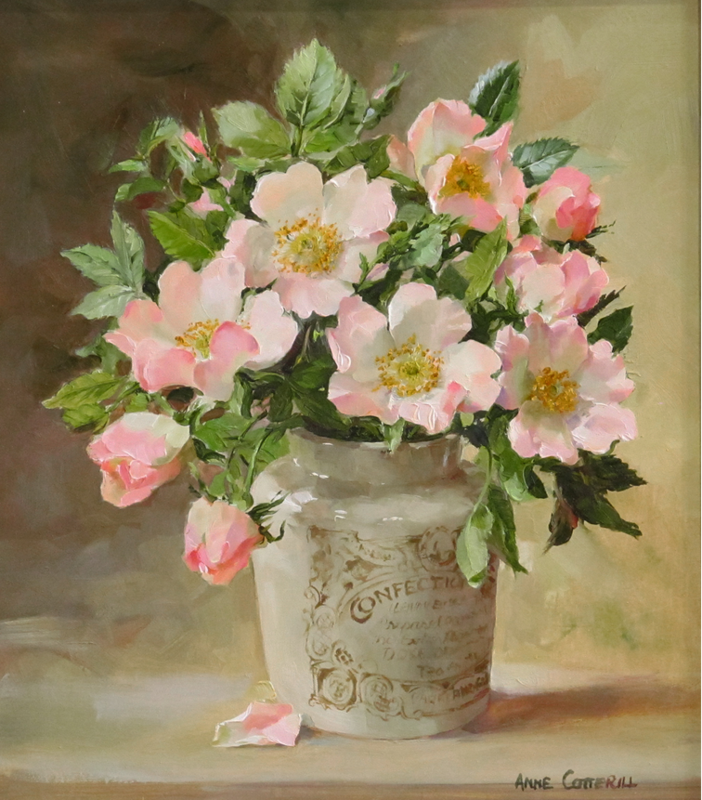 She works entirely in oils and paints mainly on board, with background colours kept deliberately plain to accentuate the flower colour. 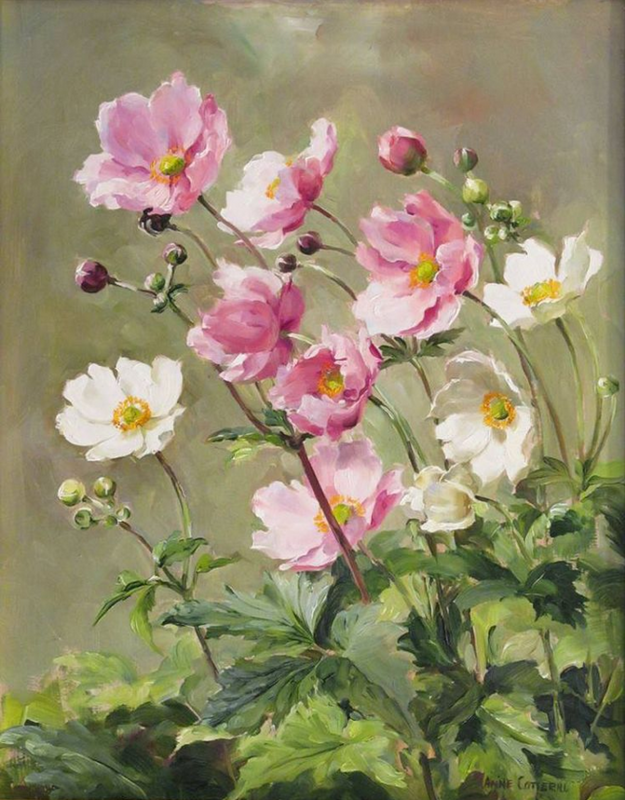 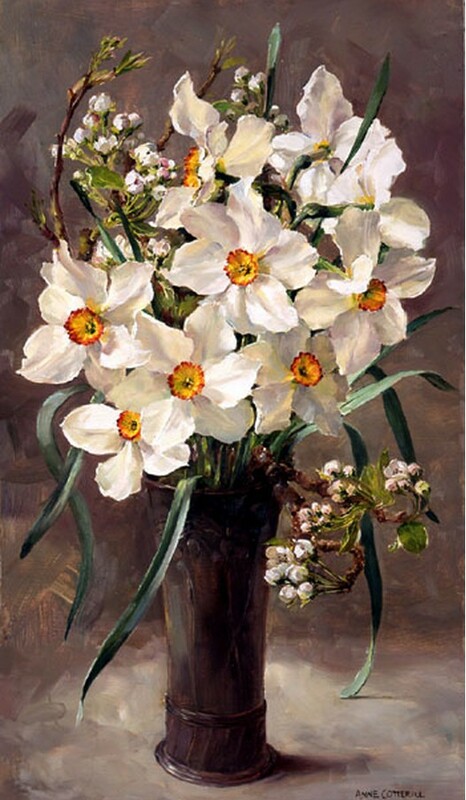 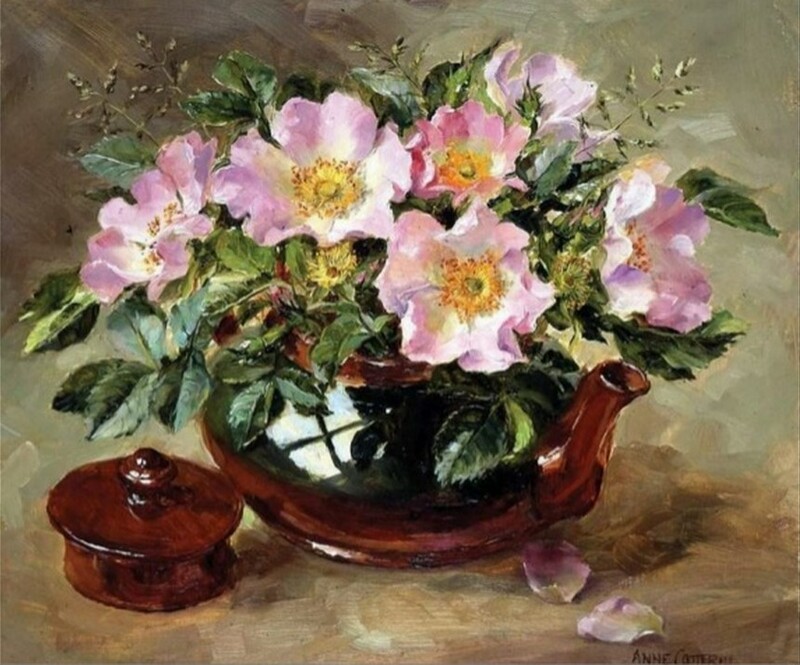 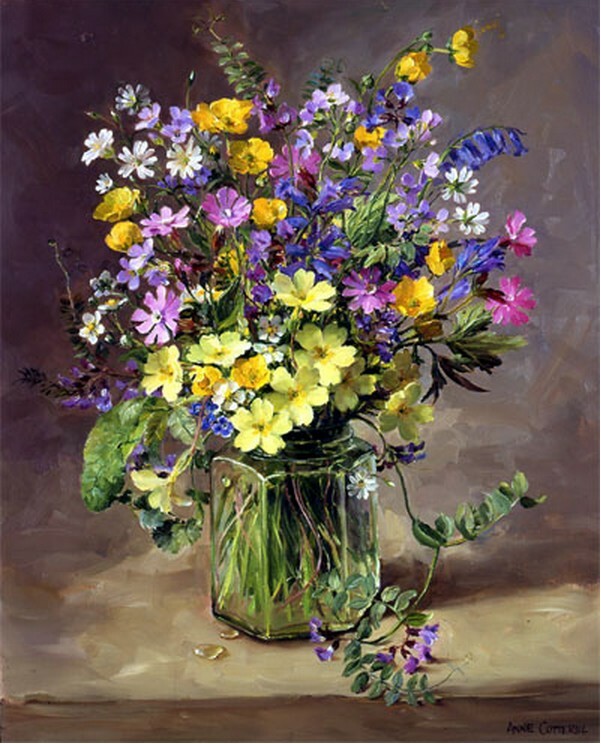 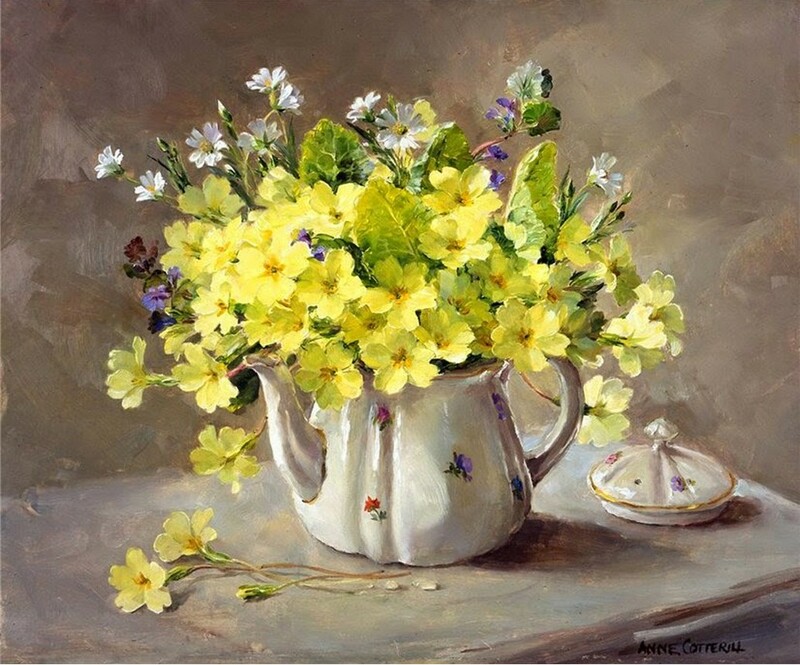 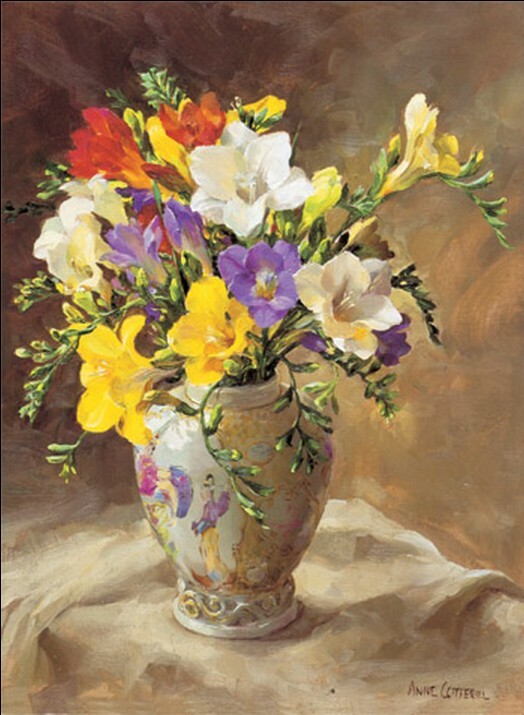 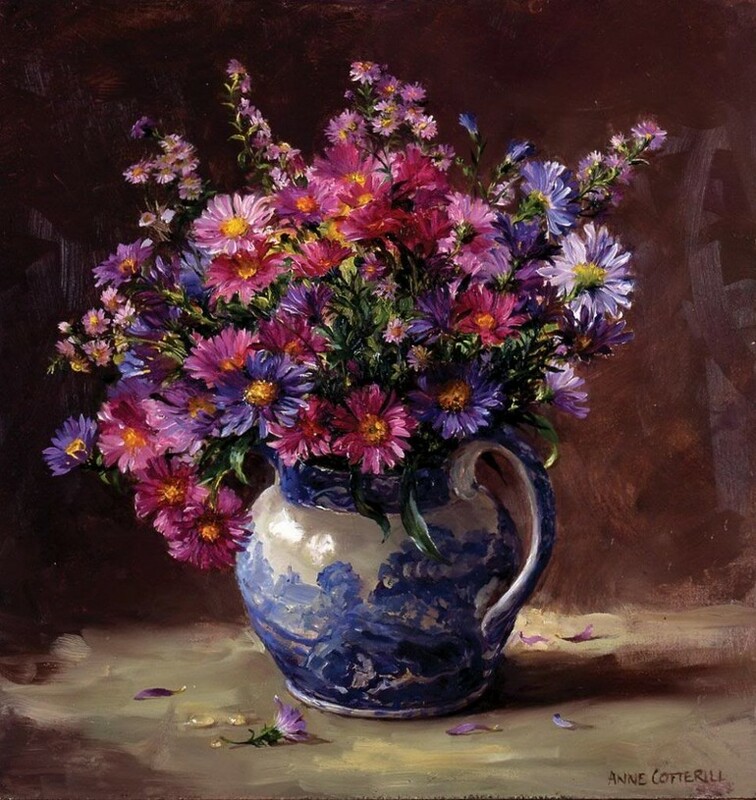 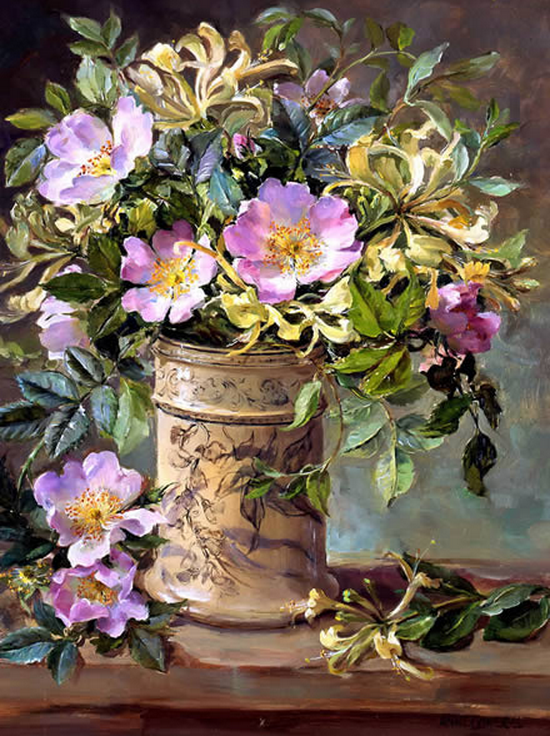 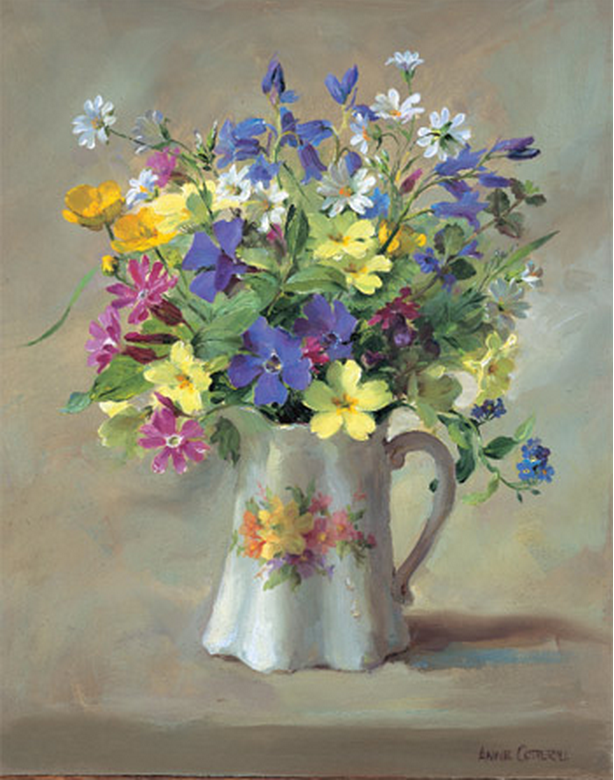 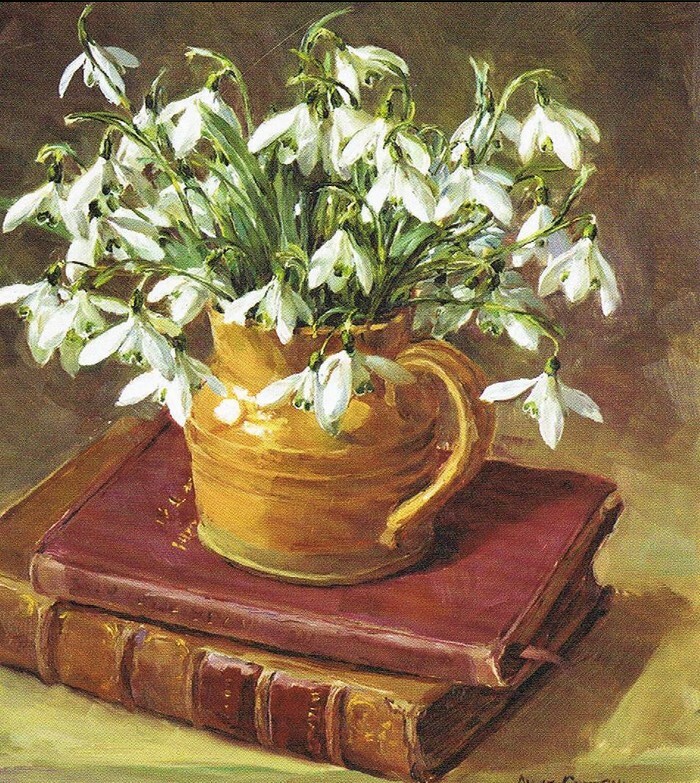 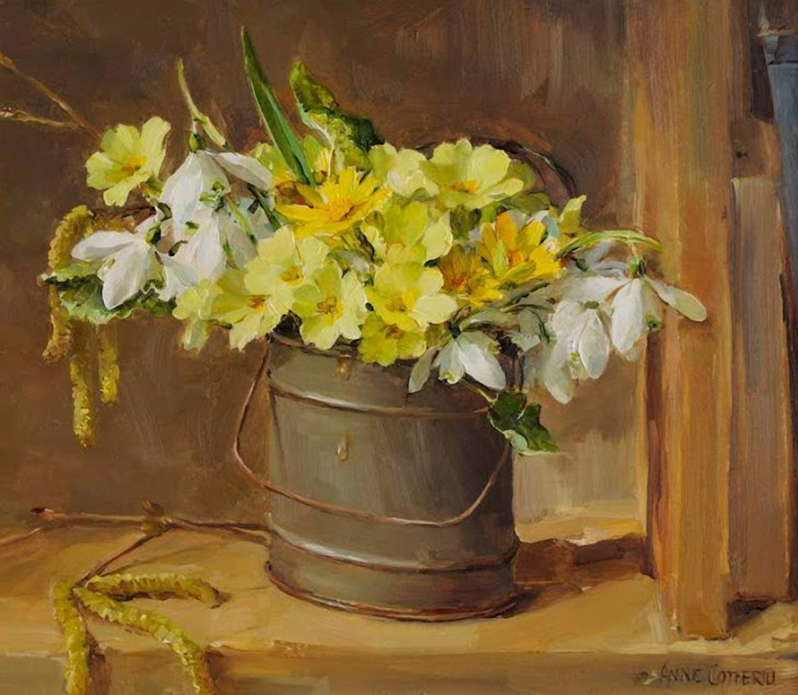 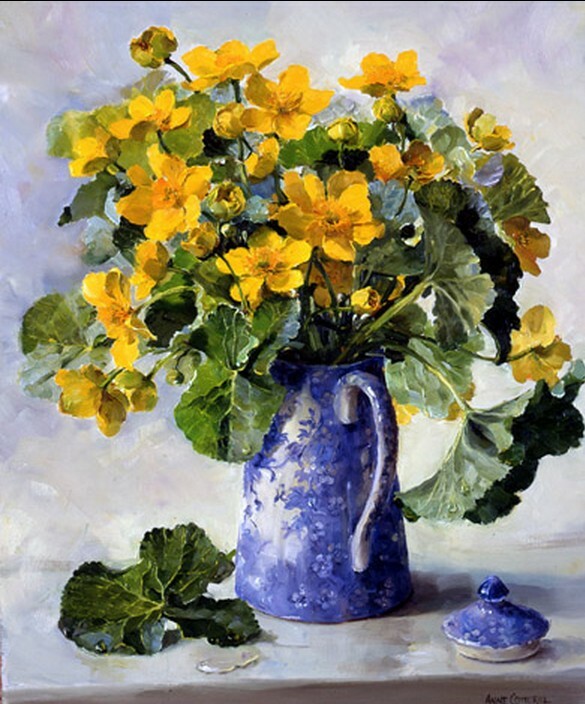 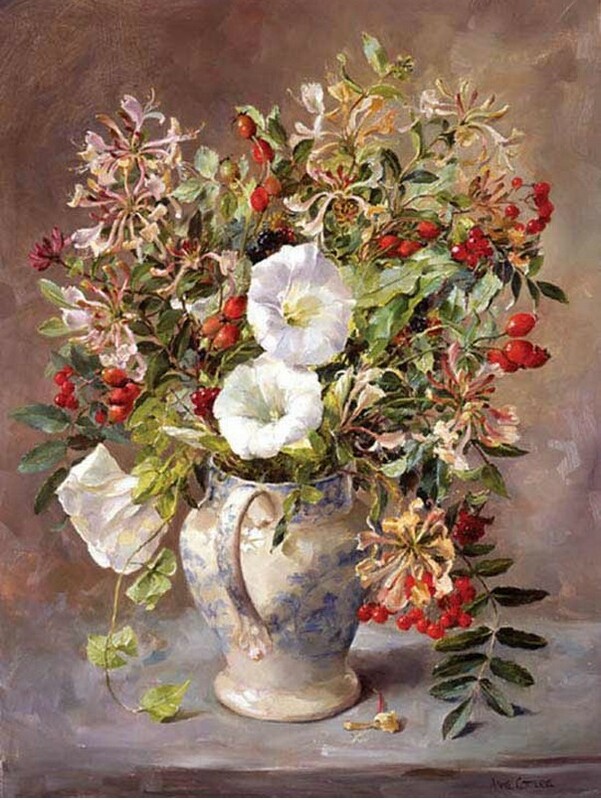 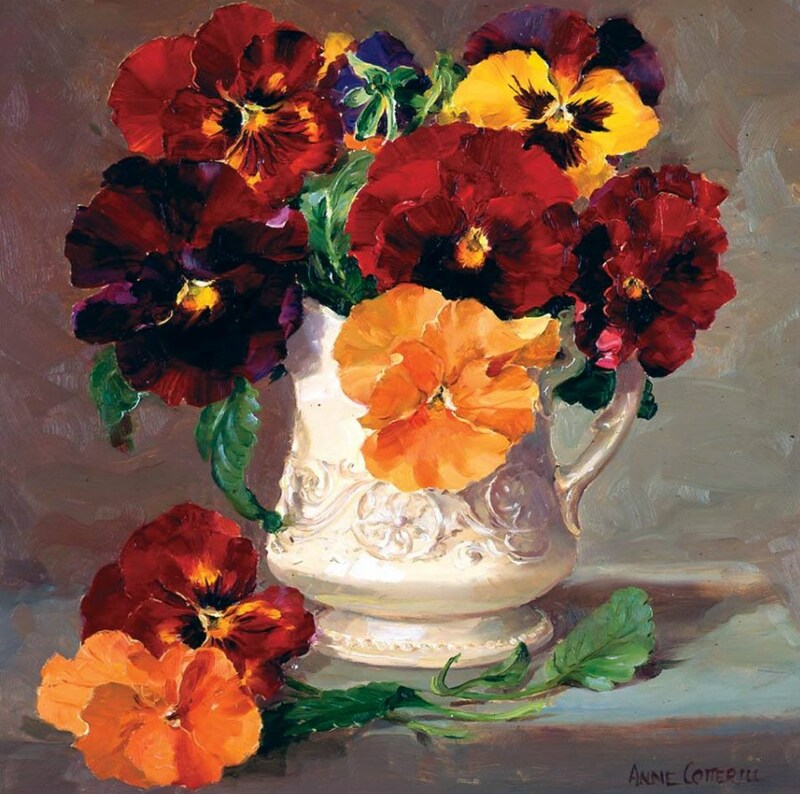 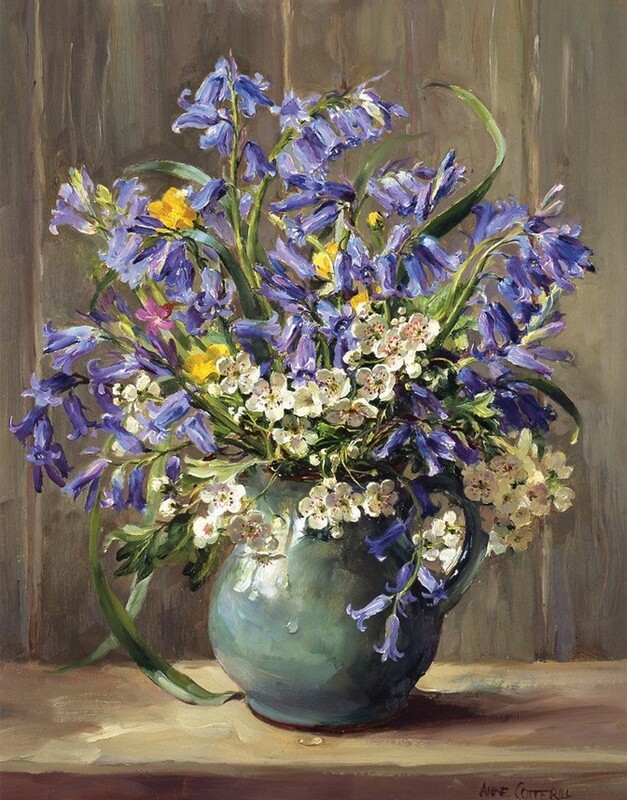 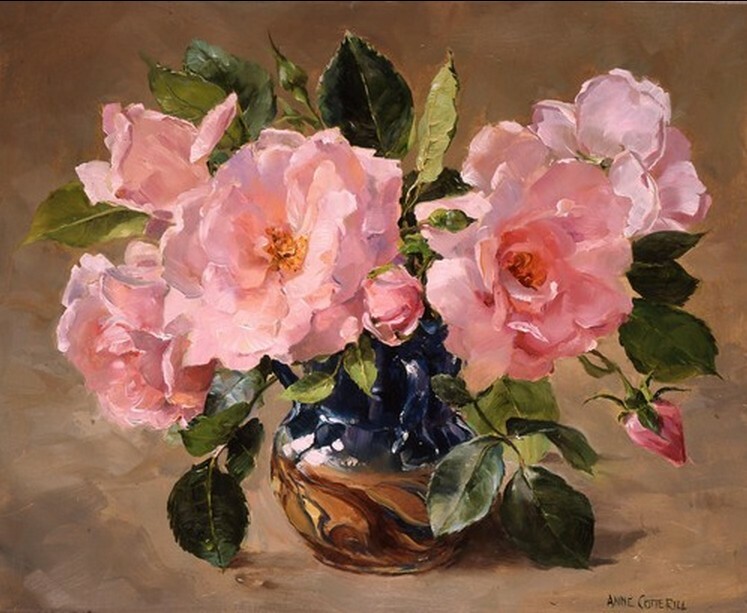 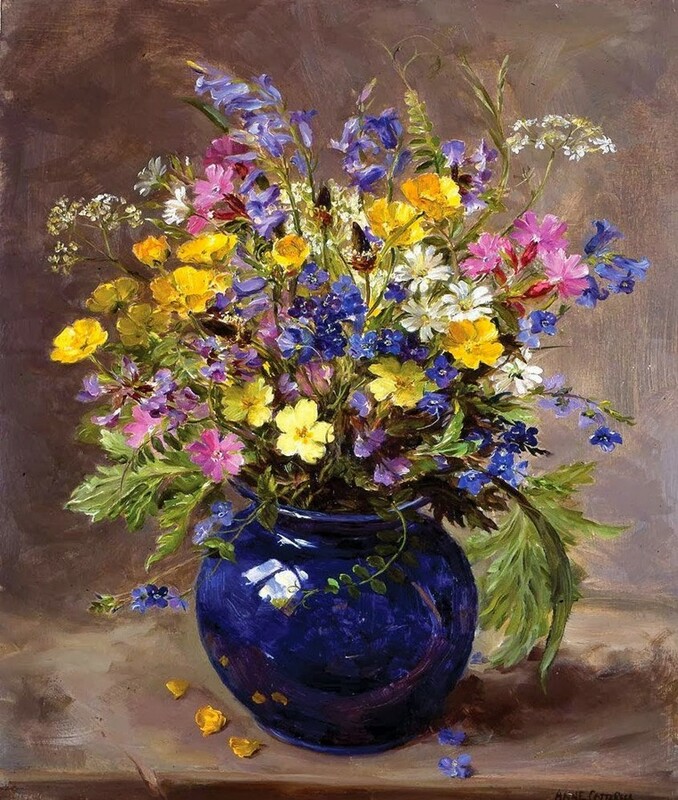 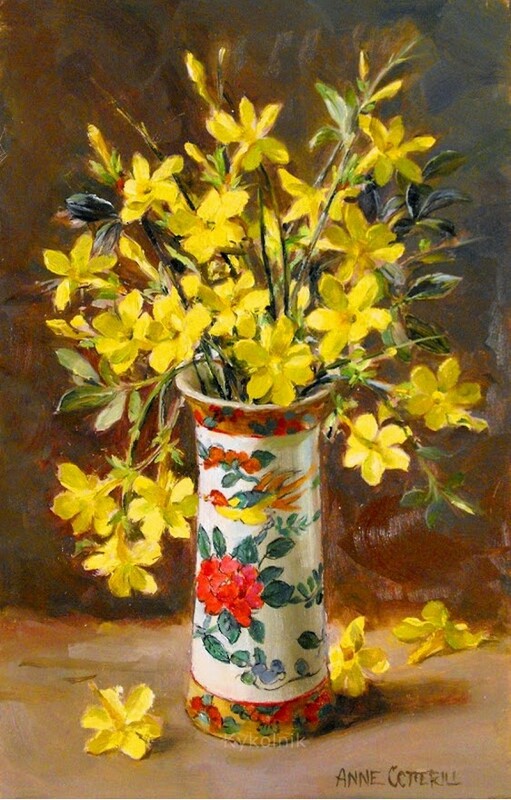 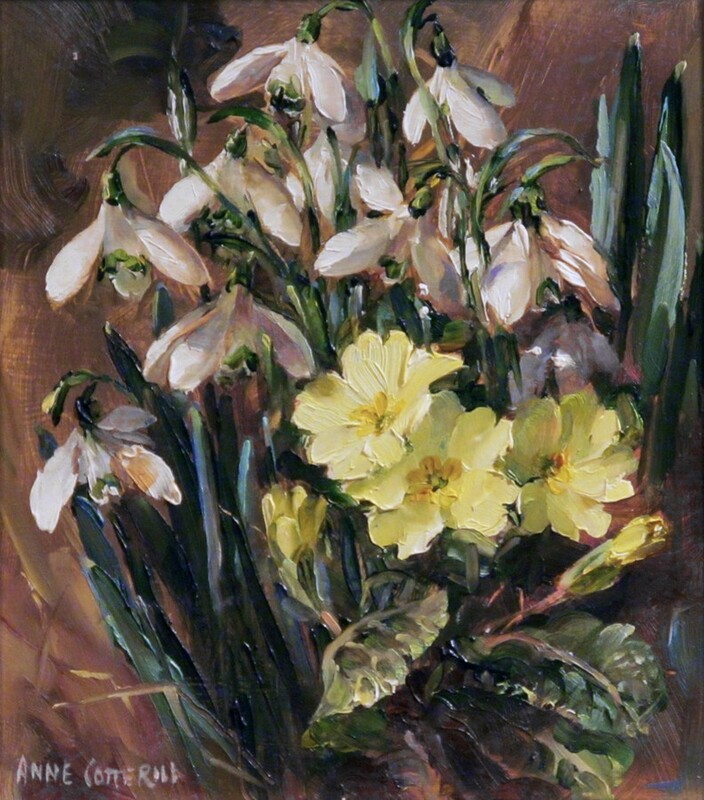 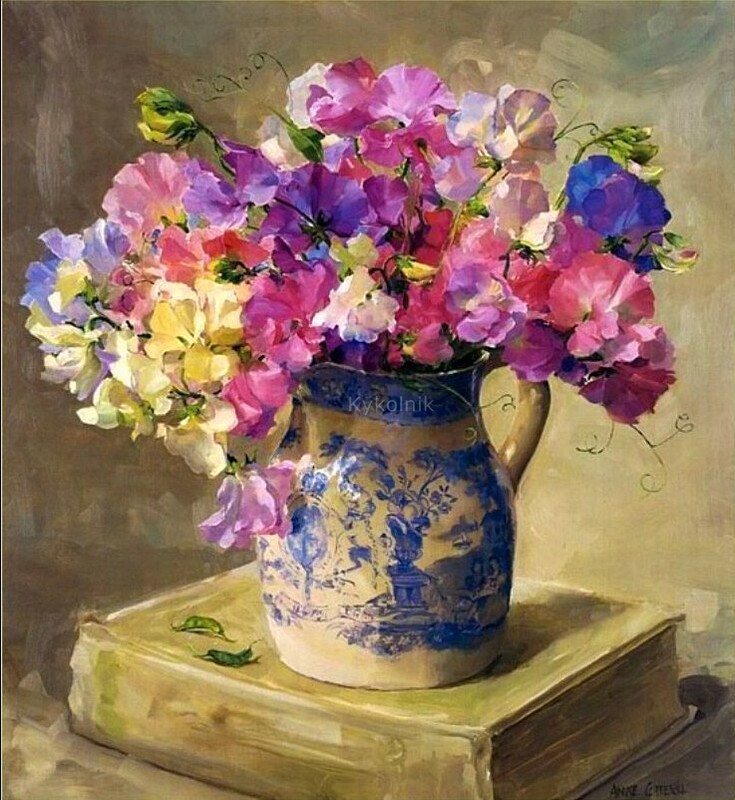 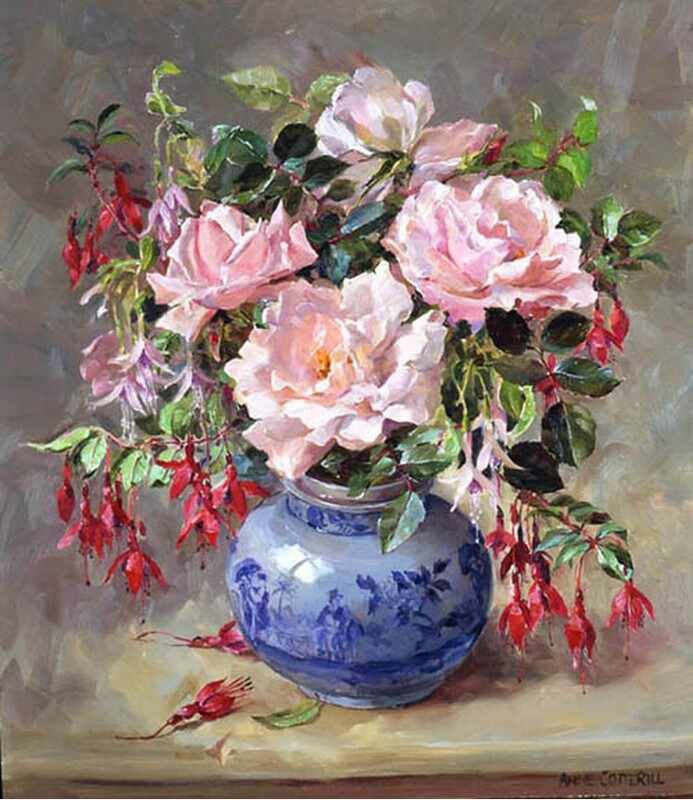 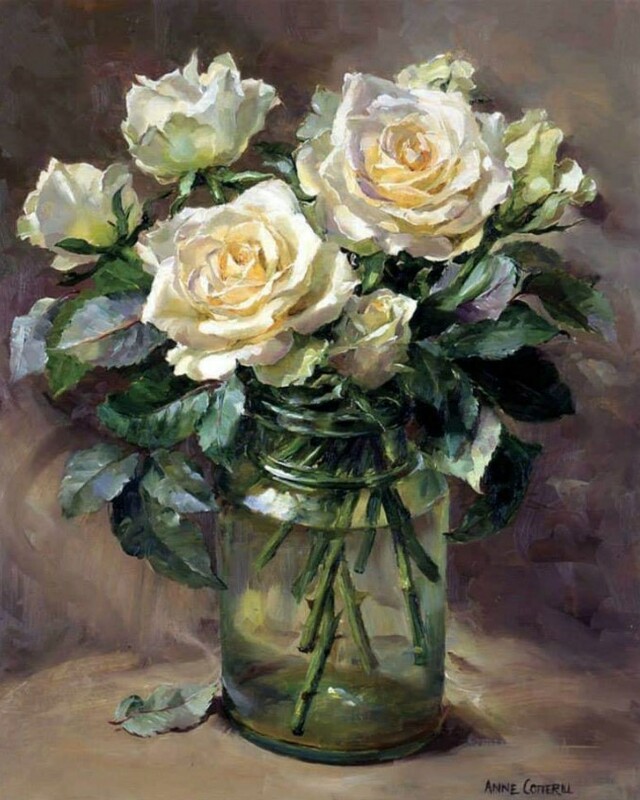 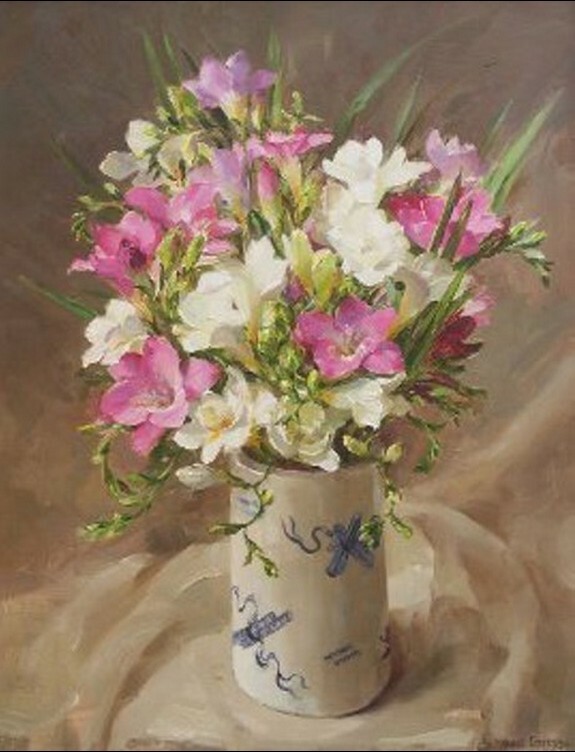 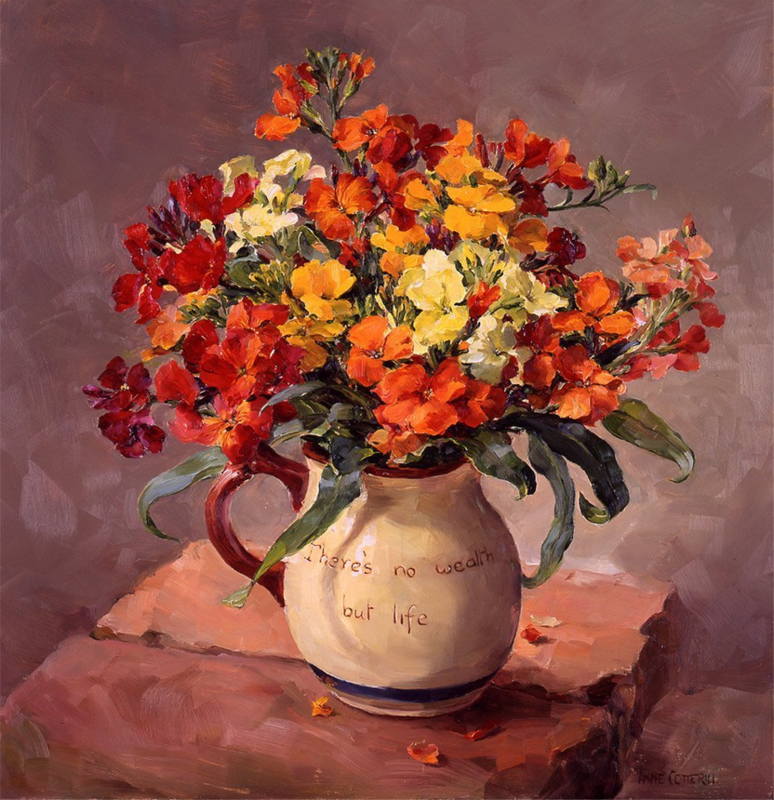 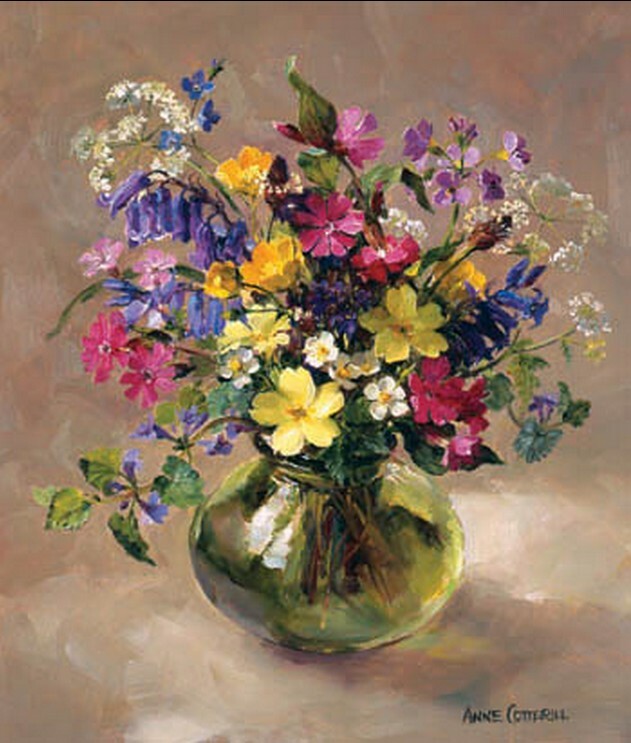 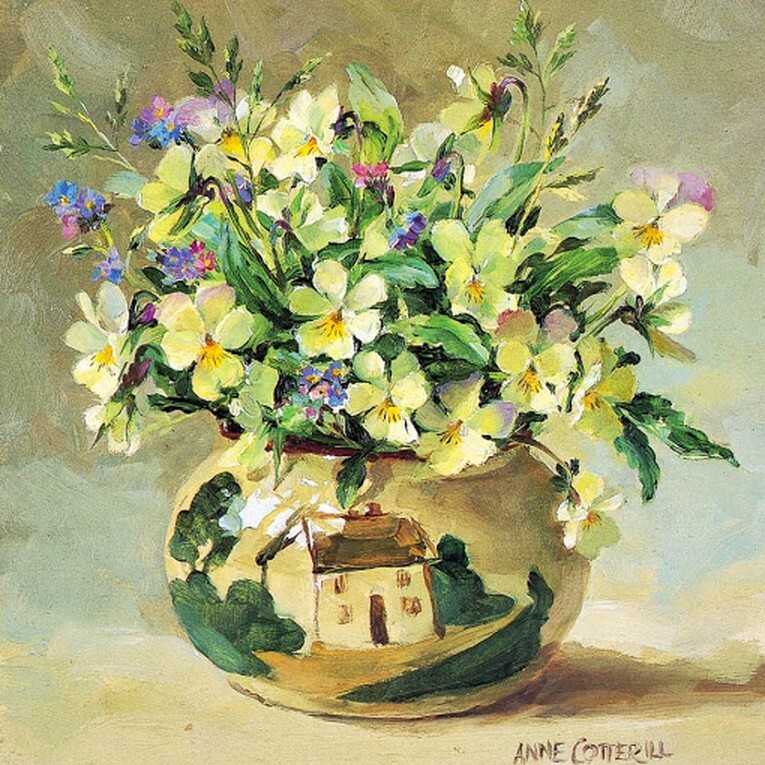 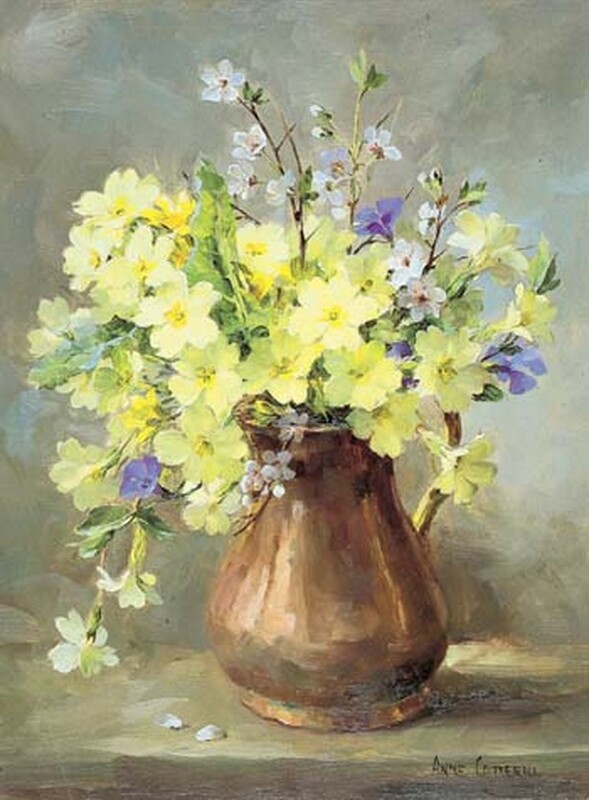 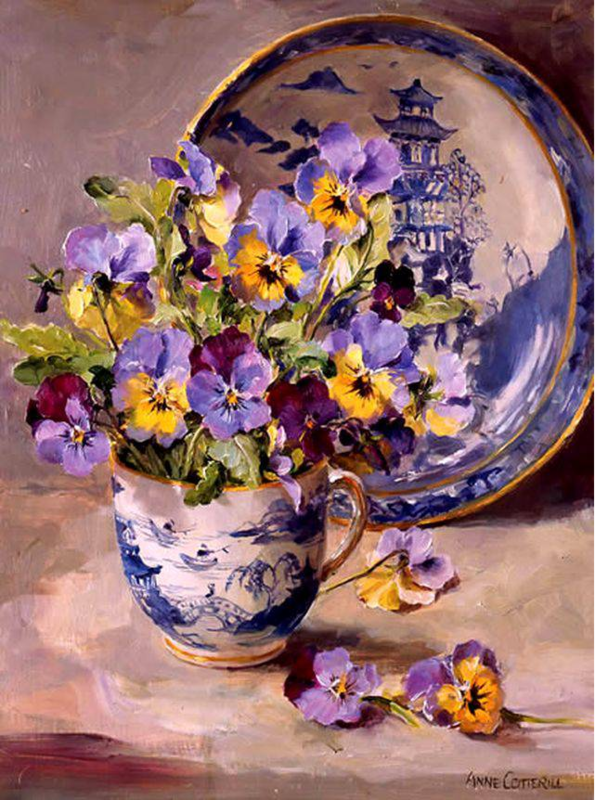 Anne Cotterill has had many successful exhibitions of her work, including solo exhibitions at Thompson`s Gallery, London, in November 1998 and October 2001, and regular collections at the Wykeham Gallery, Stockbridge, the Napier Gallery (Jersey), Thompson`s Gallery, Aldeburgh, the City Gallery, London, and the Bellflower Gallery, Devon. 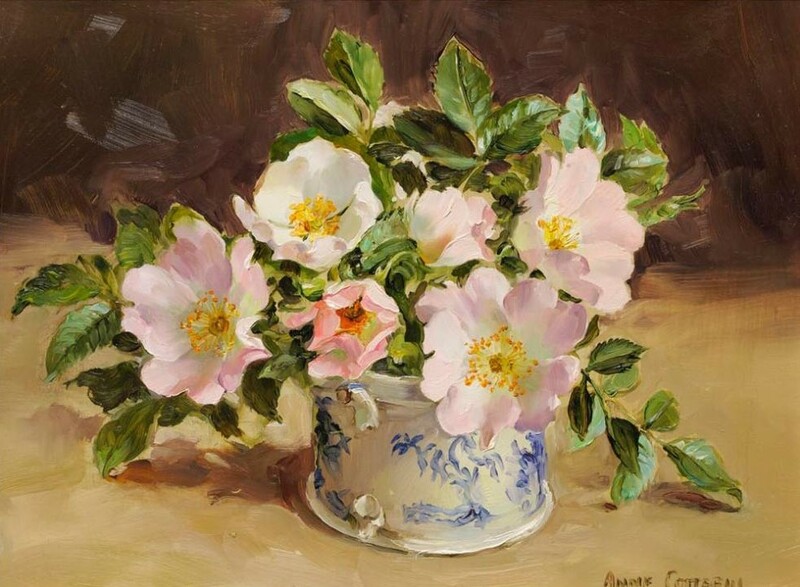 Exhibitions of Anne`s paintings always attract queues of enthusiastic collectors and demand for her originals far outstrips supply. 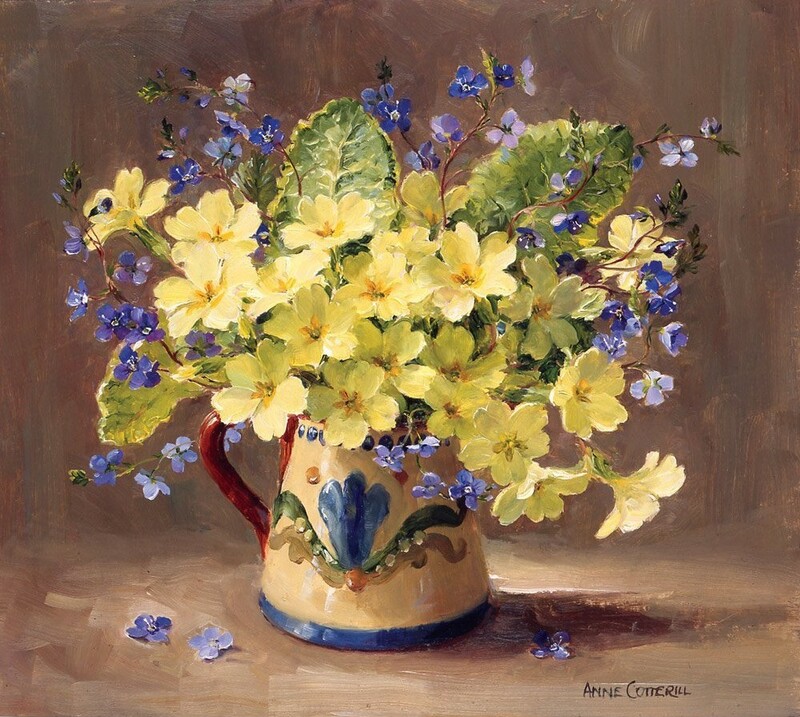 Together with her daughter Catherine, Anne runs Mill House Fine Art Publishing Ltd which specialises in faithful reproductions of her work, both as limited edition prints and greetings cards. 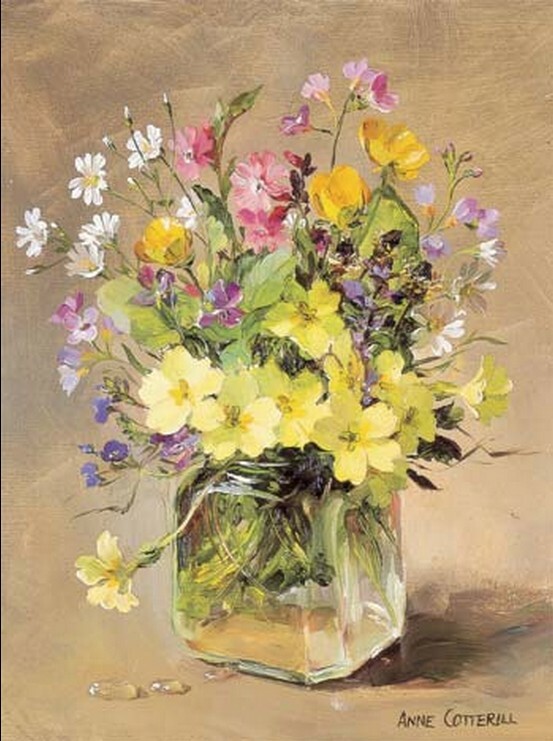 They recently opened the Bellflower Gallery in Colyton, East Devon, which exhibits collections of Anne`s original paintings twice a year as well as selling the complete range of Anne`s cards and prints. Her exquisite still life paintings capture the natural beauty of the flowers surrounding her west Somerset home. 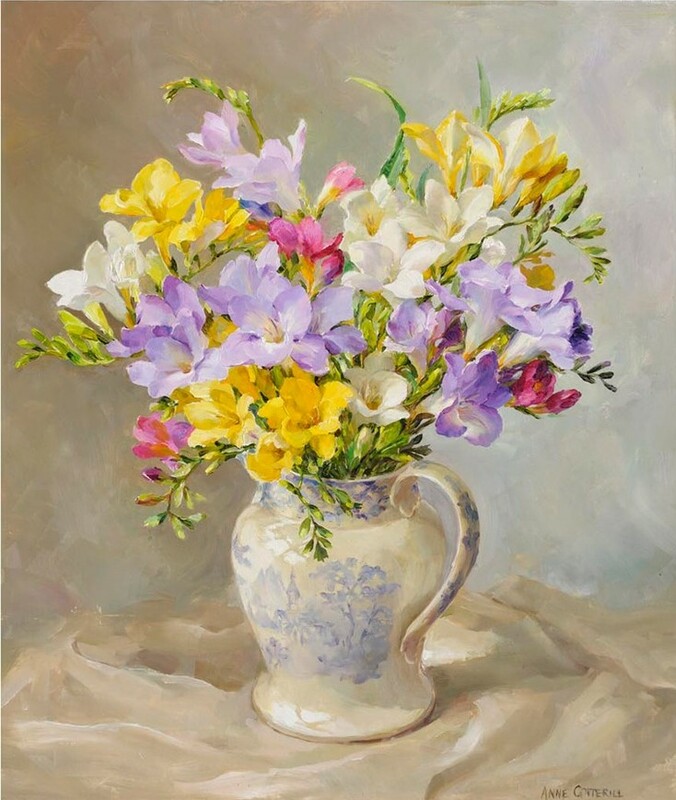 Working from life her studies have a fresh vitality and a strong sense of colour imbuing each one with a gem-like quality. 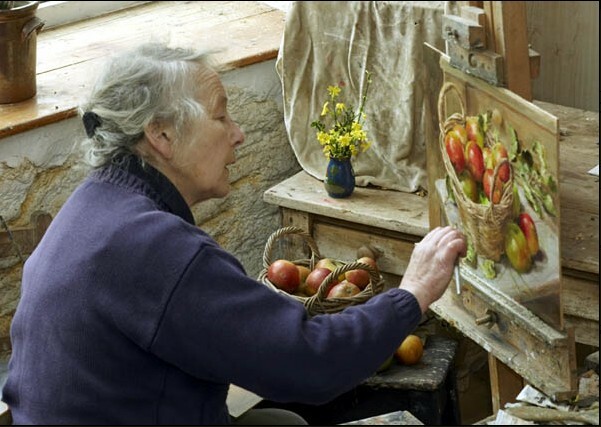 Her work has continually drawn queues of eager collectors at our annual Aldeburgh show. 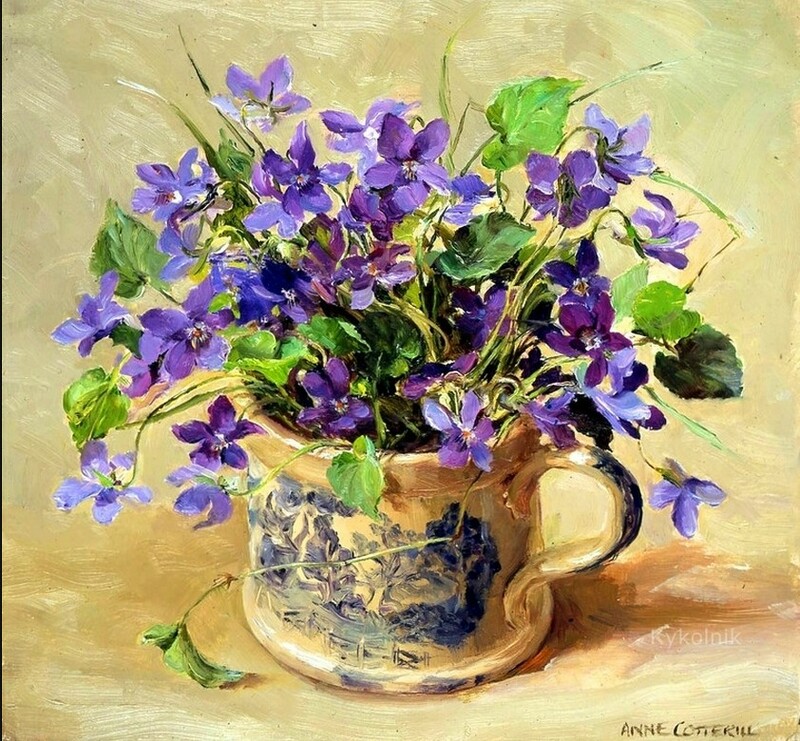 Anne`s deep love and understanding of the countryside and its rhythms is an abundant source of inspiration for her exquisite paintings of wild and garden flowers, grasses and seed heads.